You breathe a sigh of relief because the cold weather is near. Time to say goodbye from the pollen during the fall season. Unfortunately, when the winter season finally came, you are surprised to find out that your allergy is here to stay. Clearly, there is no issue with pollen. So, what is happening here? Take solace in the knowledge that you are not alone. 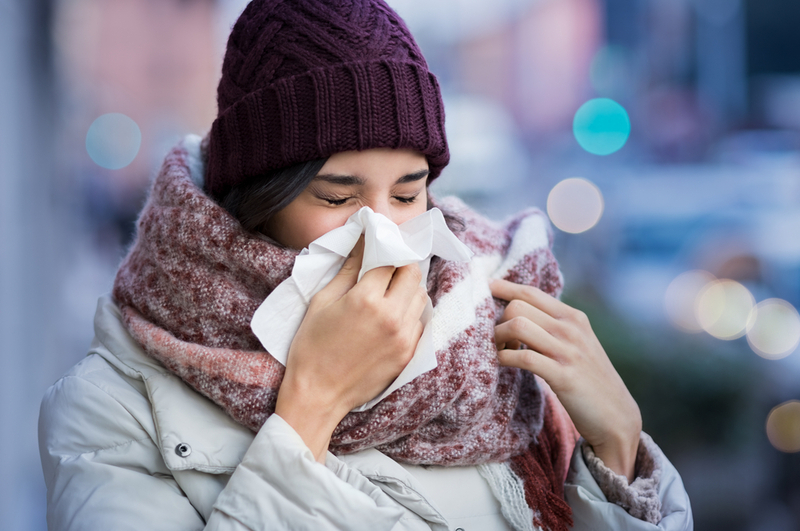 A lot of patients experience a cough and colds and other symptoms of allergy during the winter season because the sad fact is this – allergies in dust mites, fabric fibers, animal dander, and general dust in the air is magnified during the winter. Due to the fact that ventilation is poorer during this period, the need to stay indoors will not bode well for you. Winter symptoms can sometimes manifest as spring, summer, and fall. About 20% of Americans get allergies during the winter season. Majority of these people have dust mite allergies. What is the Deal with These Dust Mites? Are You Having a Dust Mite Allergy? These creatures with 8 legs are somewhat related to the spider family. However, unlike spiders, dust mites cannot be seen through the naked eye. You will need a microscope just to see what they look like. Dust mites have no sense of sight and they feed on dead skin cells which are readily available inside your home. Contrary to popular belief, dust mites do not sting nor do they bite. The reason why a person gets an allergic reaction is that of the proteins found in the composition of the mites and are also present in their excrements. Dust mites are actually pretty choosy in their living environment. They can only live in an environment with a temperature of no less than 70 F. Even with relative humidity, they need 70 percent to thrive. An adult mite can live up to six weeks. However, their reproduction rate is quite a shock. A female adult dust mite can give birth to around 80 eggs in its short lifetime. Having dust mites at home does not mean your house is filthy. No matter how much you clean your place, if the environment allows them to set up camp, you can’t really do anything about it. A lot of them reside in pillows, sofas, carpets, and mattresses because these are the areas where majority where dead skin cells are found. If you are not sure if your symptoms are dust mite-related, one quick way to ensure is if your nasal congestion, unlimited sneezing and wheezing, and red watery eyes last the entire year, even if there is no pollen in the air. If you are still not sold, then better head to an allergist to get a blood or skin test done. How do you know if you have a dust mite allergy? Sneezing, nasal congestion, and watery eyes are common signs and symptoms. You must know that dust mites thrive in winters. These are the culprits that can bring about symptoms of allergy during the late months of the year, where the temperature is at its lowest. 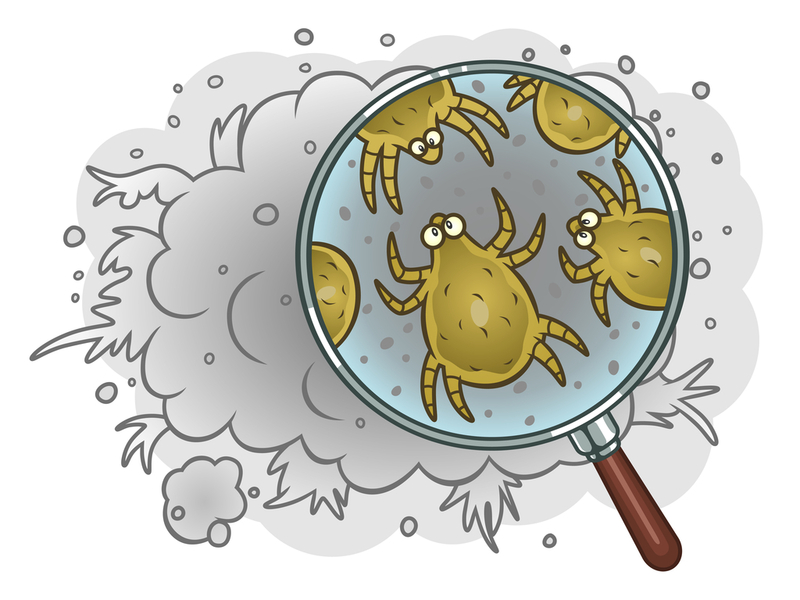 As you may already be familiar with, dust mites are found indoors. During winter, it is natural to close all the windows and doors to prevent the cold air from getting in, right? Another method to make sure you are all cozy and comfortable is to increase the heat inside your home. Unknowingly, you are creating an environment that is ideal for the growth and spreading of these dust mites. So, why is it that your dust mite allergy hits an all-time high during the winter? You tend to stay a lot of time indoors because of the harsh weather outside, right? This means your exposure is increased and your tendency to suffer an allergy attack is emphasized. As the winter season progresses, the dust mites multiply even more. And as the weather temperature gets unfriendlier, you stop leaving your house, only to have prolonged exposure to these creatures inside your home. Dust mites are difficult to get rid off completely. However, you can take some steps to reduce their presence inside your home by working on limiting their reproduction. The less amount of dust mites inside your home, the lesser exposure you have to worry about. So, what can you do come winter season? There are many ways to lower down the risk of aggravating your dust mite allergy. The first area to deal with is the bedroom. Remove the carpets and the drapes as they make fine homes for the dust mites. Instead, go for blinds or window shades. Next, keep your mattress and pillows inside mite-proof casings. Select a cover that leaves no space to let dust mites in. When cleaning your beddings, use hot water. Cold water does not do anything for the mites. Having a dehumidifier will render your home environment unsusceptible for dust mite living since these creatures cannot live anywhere with a humidity of 50 percent. For the parents of kids with dust mite allergy, remove all toys from the bed. Freeze these to kill dust mites. Just be sure to wear a mask when doing so. It is important to use a HEPA filter or layer the bag twice to avoid dust mites from escaping the vacuum and going back to the air. Some people just can’t deal with dust mites allergy anymore. Antihistamines are often prescribed. If you need help breathing, an intranasal corticosteroid can alleviate the symptoms. In some cases, these drugs will not have an effect. Or if they do, some experience their symptoms return after use. Seek an allergist, if you must. You notice how simple these steps in reducing the number of dust mites inside your home can be. The above mentioned simple allergy winter tips can do wonders for your health during the winter. No need to be afraid of your own home. Just enjoy the warmth and pleasures of staying in without worrying about triggering your dust mite allergy.